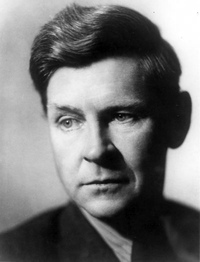 Olaf Stapledon was a British philosopher and author of several influential works of science fiction. His two most famous books are Last and First Men (1930) and Star Maker (1937), and he has influenced generations of SFF writers, including Arthur C. Clarke, Brian M. Aldiss, and contemporaries such as C.S. Lewis, H.G. Wells, and H.P. Lovecraft. His works are not traditional novels, but instead present his views on mankind, social and political institutions, the origins and future of the universe, and the search for meaning. Click here for more stories by Olaf Stapledon. Olaf Stapledon's vision of mankind's entire future history until the end is profound, beautiful, and affecting, and was written way back in 1930. It is unfortunate that Last and First Men has not found a wider audience, though it had a deep impact on many of science fiction's luminaries, including Arthur C. Clarke, who indicated that this book and its later successor Star Maker were the two most influential books he had ever read. In my mind, it is one of the most imaginative early SF classics ever written, and is just as important as the works of H.G. Wells. 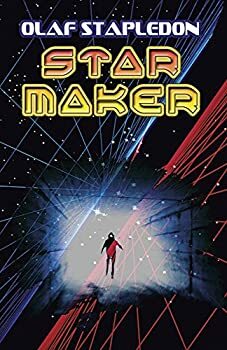 Star Maker is perhaps the grandest and most awe-inspiring vision of the universe ever penned by a science fiction author, before the term even existed, in 1937 by the pioneering Englishman Olaf Stapledon. Although some readers might think that Star Maker was only outstanding for its time, it remains an amazing tour-de-force today, and has clearly inspired many of the genre’s most famous practitioners, including Arthur C. Clarke, with its fountain of ideas about galaxies, nebulae, cosmological minds, artificial habitats, super-heavy-gravity environments, an infinite variety of alien species, and telepathic communications among stars.